Bengaluru: Yash is on cloud nine with the success of his film KGF - Chapter 1, so are the Sandalwood actor’s fans. Power Star Puneeth Rajkumar's fans too are happy. They are geared up for the release of their favourite actor's movie Natasarvabhouma. 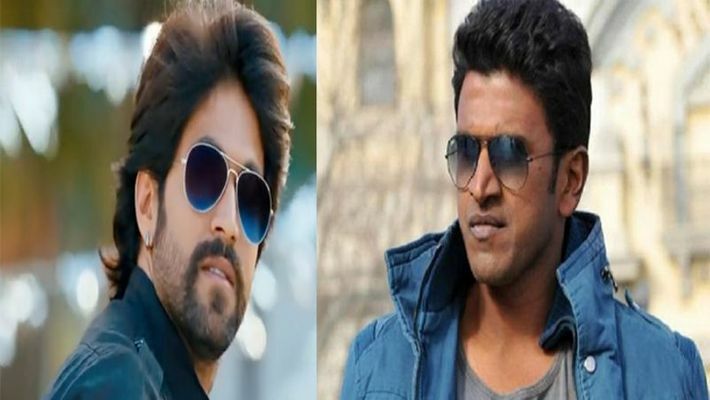 But why are Puneeth and Yash’s fans at loggerheads? Here is the story. When KGF movie was released, it was praised by all Kannadigas irrespective of which actors fans they are. Everyone had shared the news about KGF and spread the word. But now, as Natasarvabhouma is all set for release, Puneeth's fans have alleged that Yash fans are not supporting Natasarvabhouma the way they did for Yash's movie. Natasarvabhouma, directed by Pawan Wodeyar, will release on February 7. The trailer has received appreciation and raised the expectations of the fans. Will Natasarvabhouma enthrall fans across Karnataka? The crew is hopeful of the movie being a blockbuster hit.